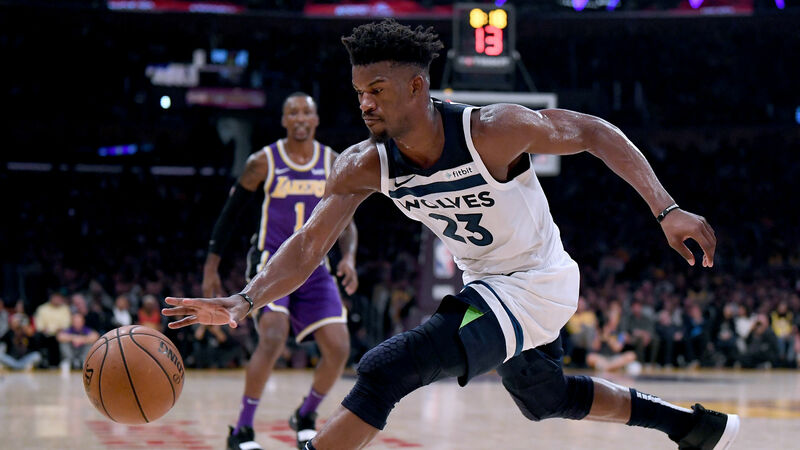 Jimmy Butler thinks the Minnesota Timberwolves are in a "big-time hole" and questioned some of his teammates' ability to take criticism in a way that will help them improve. Butler's trade request amid a falling out with members of the team meant Minnesota started the season under a cloud, and Derrick Rose suggested a change in attitude toward feedback is needed after their latest setback. "It's about understanding one another and having that chemistry where you could give someone good or bad criticism," Rose said. "There's nothing wrong with coming up to your teammates, tapping them when he's doing something wrong, doing something right and vice-versa." "Do I agree with it? Yeah," Butler said. "But I don't think everybody can handle it. I don't. I know actually. But I'm with him on it. "I've been through enough trials and tribulations myself," Rose said. "I just try to stay focused. I just come in, be a professional and let the front office and whoever is involved handle it. "Young players [might not be able to put trade rumors to one side]. But to each his own. Everybody handles everything different. If anything, I think everybody is just watching and trying to see how it's going to play out, or if anything, learn from it."